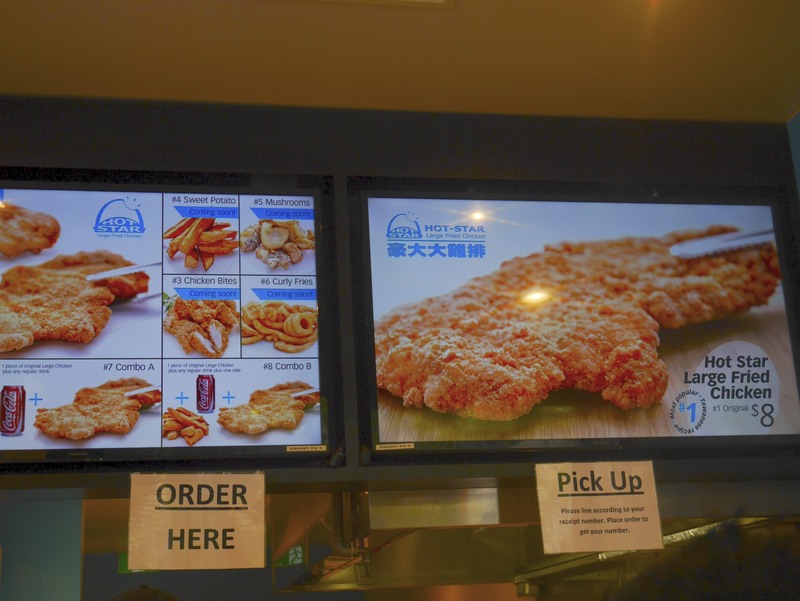 Hollywood (A.K.A Cluckmaster) had been aware of a new Melbourne Fried Chicken clucker that is to be reckoned with calling itself the Hot Star. 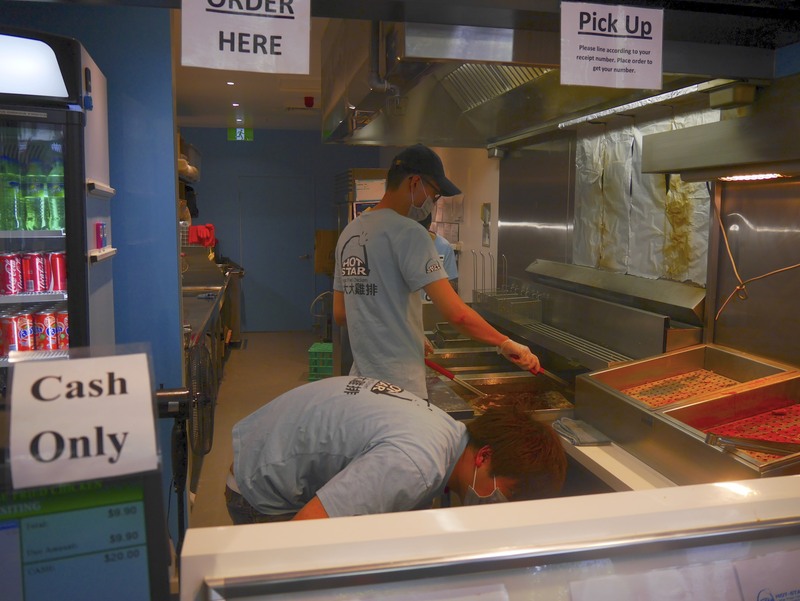 He has been talking up the potential of this contender to the Chick who was wary of the fast food style and what it might imply about the quality. 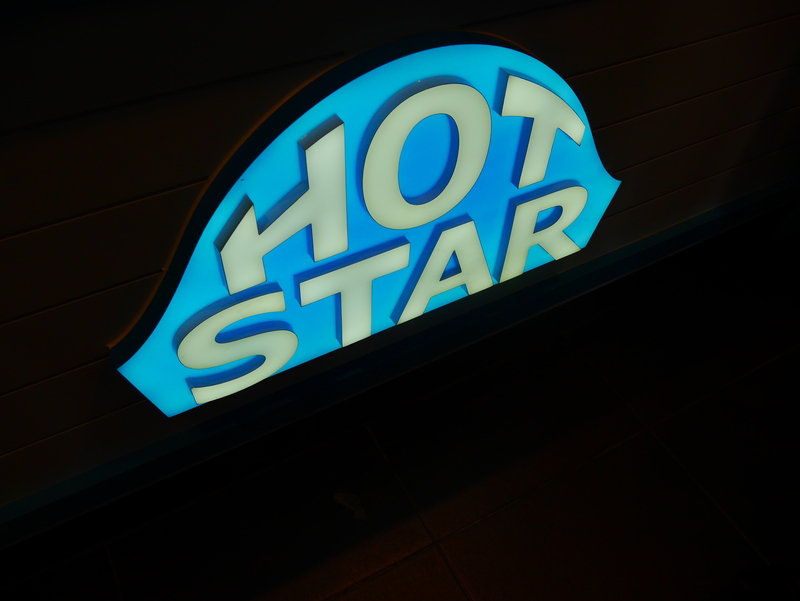 Thankfully, Hot Star surprised and delighted with a new take on a favorite food. 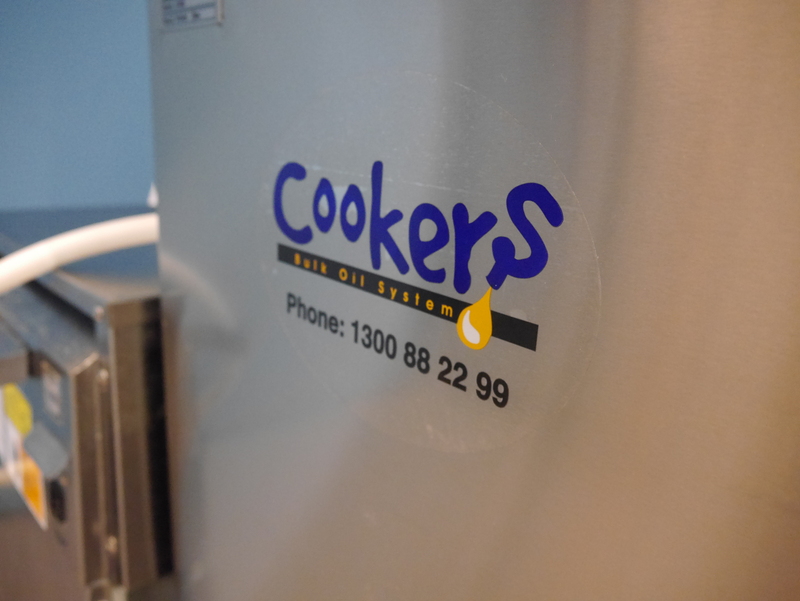 Apparently our reputation as Melbourne Fried Chicken connisours preceded us, so after snapping a few photos out the front we were invited into the kitchen to see how the magic was made. 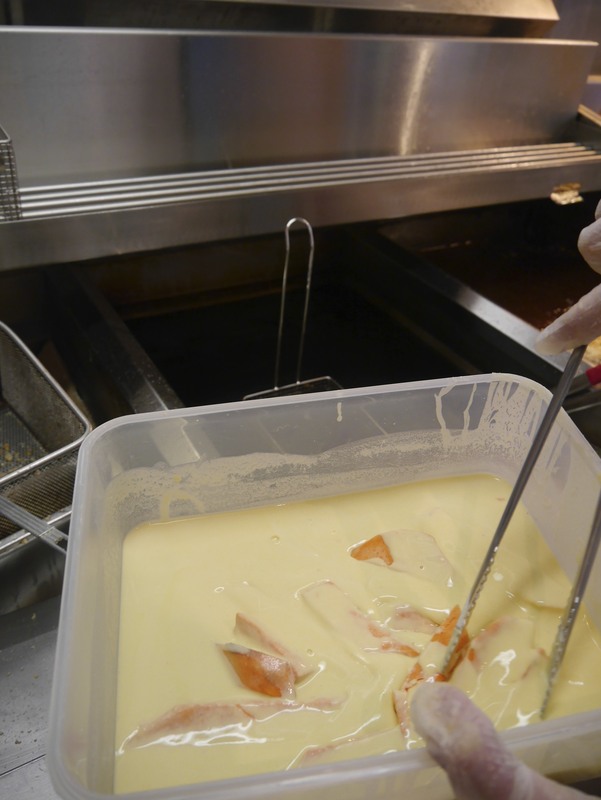 The chicken is marinated for a day before being coated in, wait for it, tapioca flour! 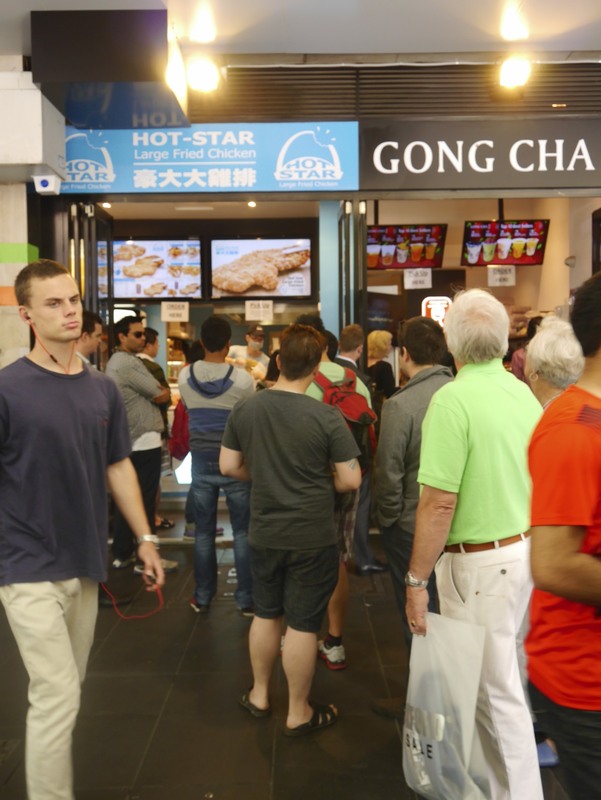 Apparently this is all the rage in Taiwan, and the Swanston location is the first outlet of the franchise in Australia. It sounded a bit odd, but after a bite, it was clear to the chick that a new style had been invented that was worth note. 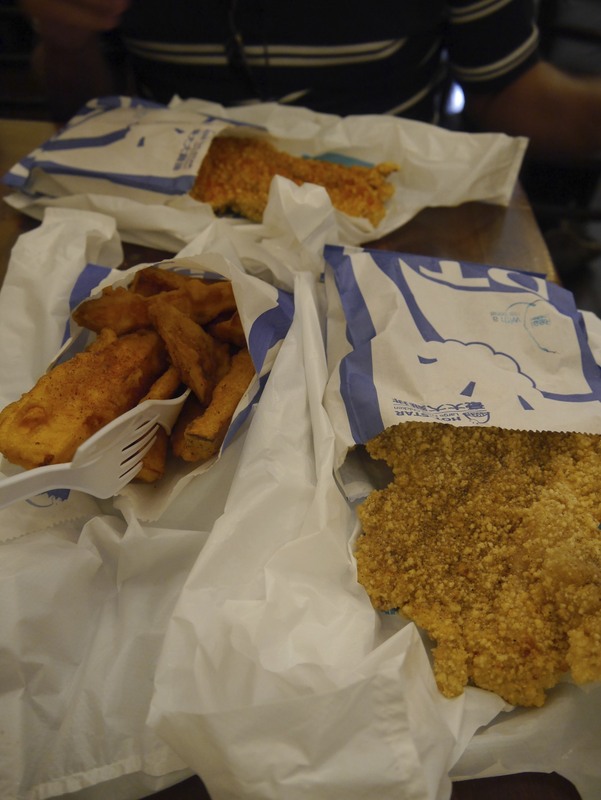 It is not as crispy as Southern Fried Chicken, the tapioca gives it a bit of a spongier/sweeter note. But they are coming out with a crispierr version that sounds worth a second visit. 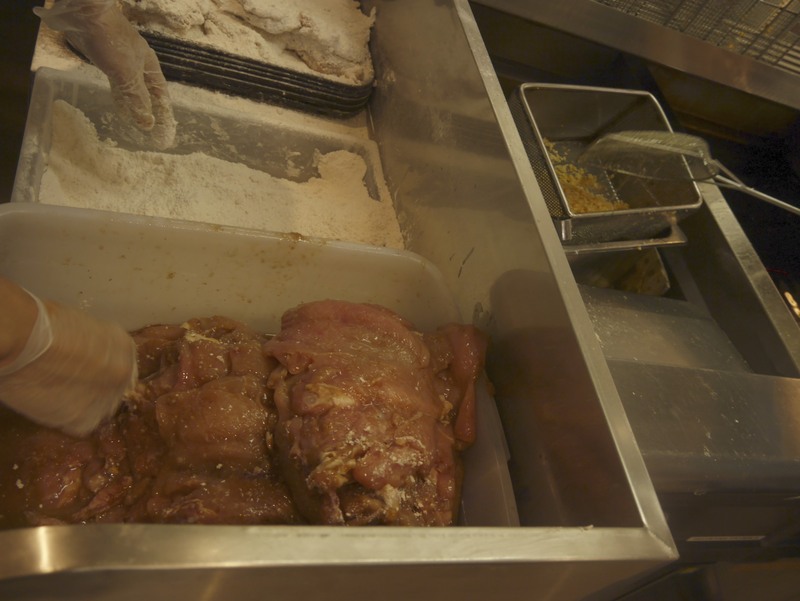 The chicken is a single breast piece, cut by dedicated professionals to get the maximum surface area. 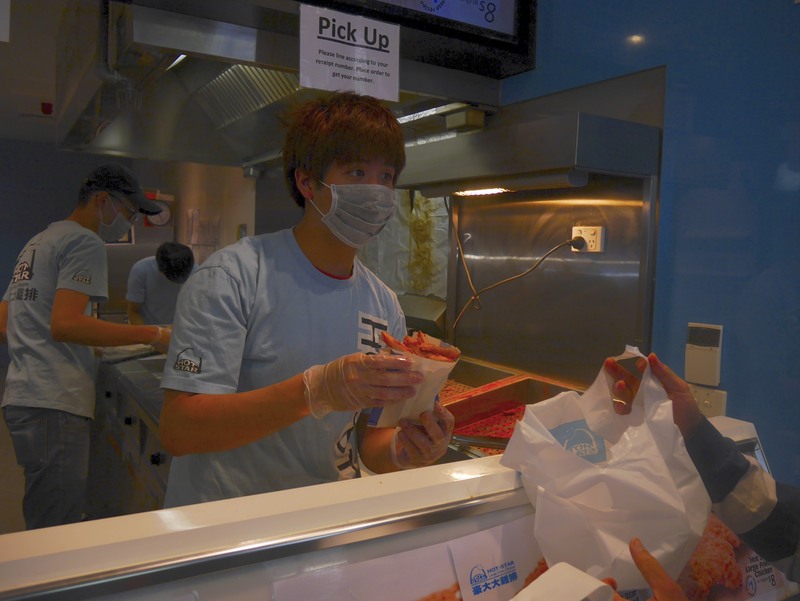 You’ll know what I mean when you are handed your breast in a bag that seems bigger than your head. 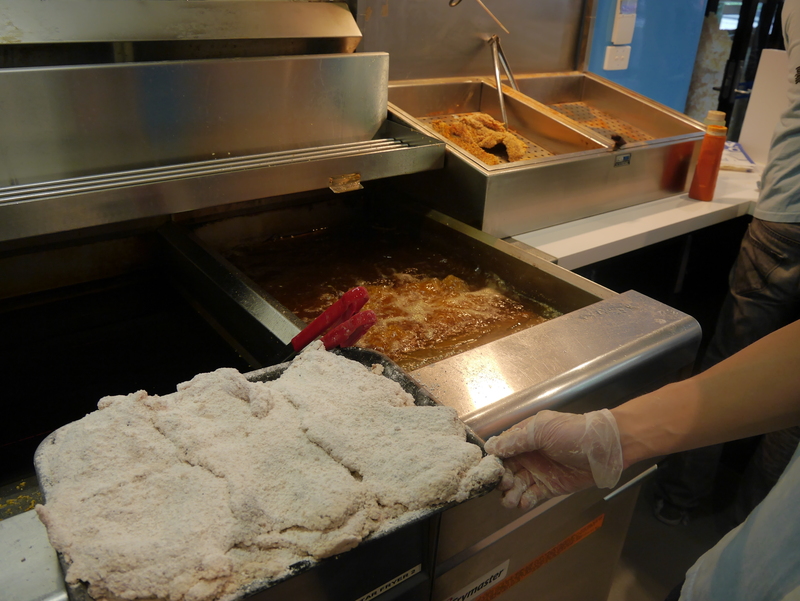 There are the occasional bones left in for flavor, but otherwise it is a smooth piece of breading and chicken. The Chick isn’t a big fan of fast food, but this was fast, fresh and full of flavor. 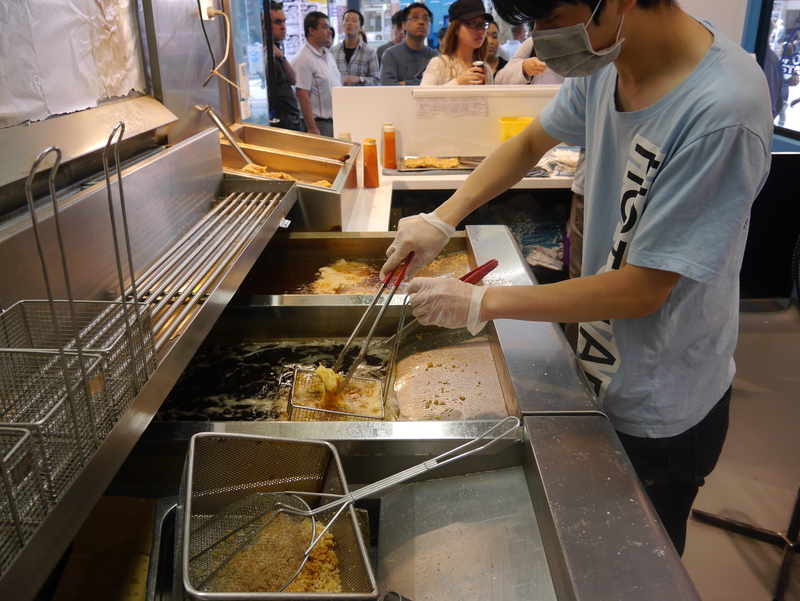 The frying is done in real time from fresh (not frozen) chicken, so there’s a bit of a wait after you order, but it is worth it. The chicken comes out steamy, not too greasy and the unique tapioca breading a perfect golden color. 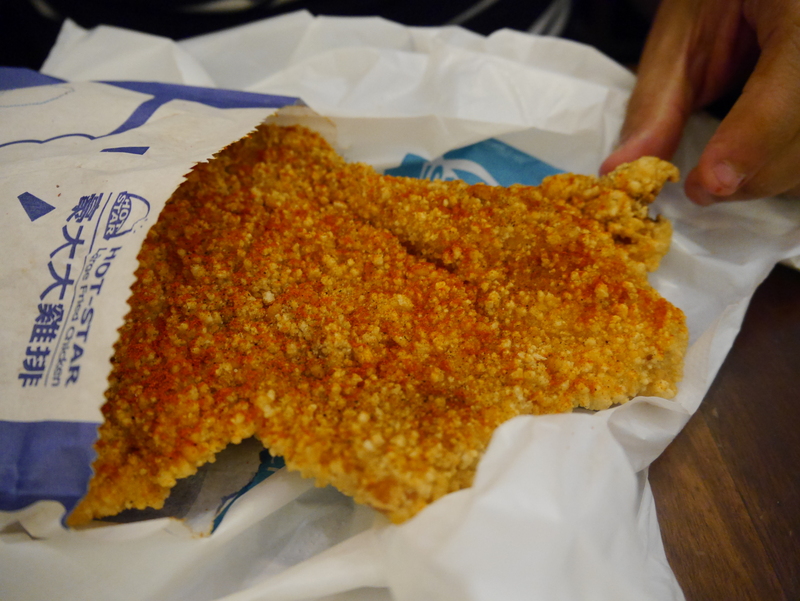 The original version comes coated in salt and pepper, there is also a spicy version with a bit of chilli powder sprinkled on top, a hint of flavor, easy to swallow for those who can’t handle their spice. The Chick preferred the original but dipped in chilli sauce found next door at Rice Paper. 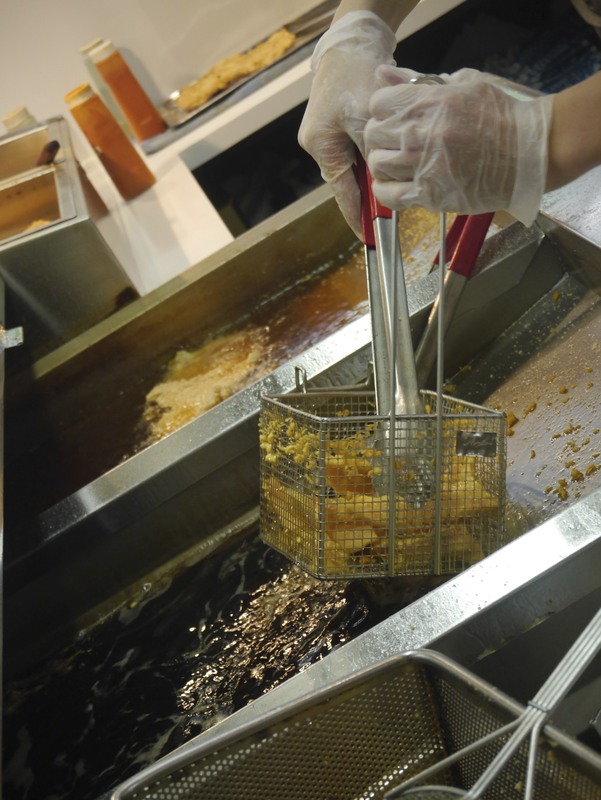 The sweet potato fries are not always available because they are made with a wet batter and take longer, but they are worth it. And if the other wet batter items coming (crispy chicken, mushrooms) are anything like the potatoes, then we’ll be back. 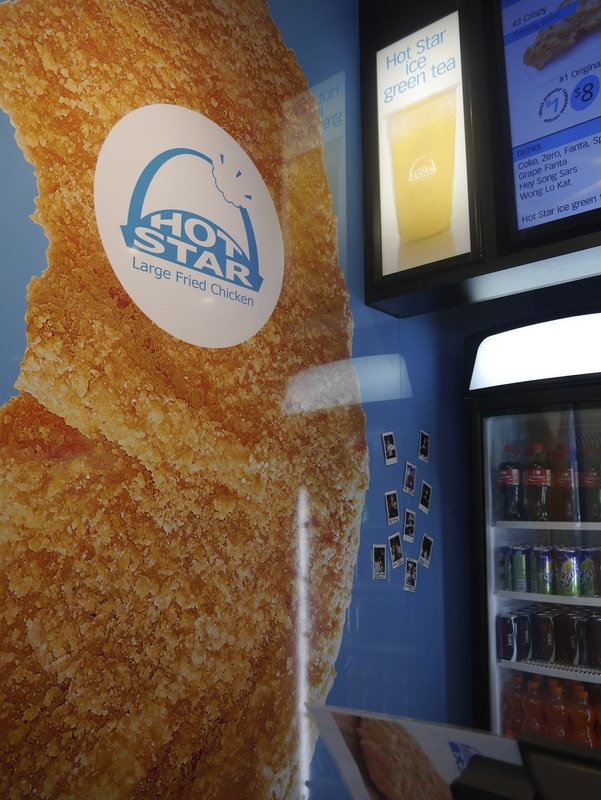 Conclusion: Even if you tend to avoid fast food joints, but love fresh fried food, Hot Star is for you. $9 a bag makes this one of the best cost/flavor combo we’ve found in Melbourne. It also sat well with the cluckmaster as a great on-the-go meal. Thumbs up! Our Christmas break was full of sunshine and good food. 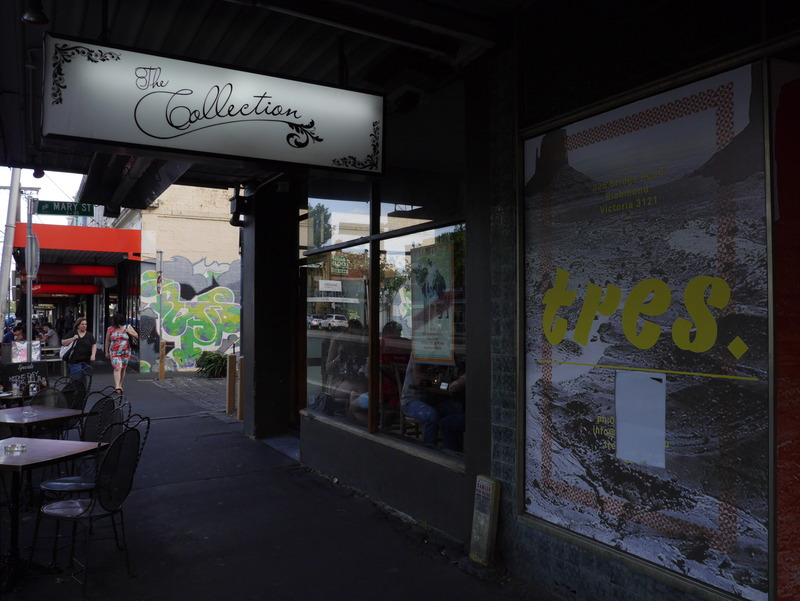 We had a free evening and hoped to discover another great Melbourne Fried Chicken place close to home, but we ended up with good atmosphere and disappointing fare at The Collection in Richmond. 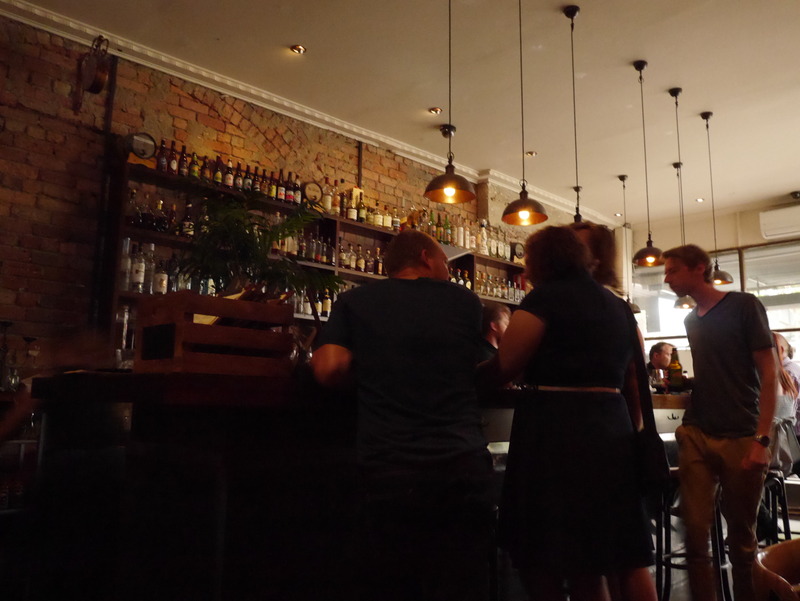 The space is the right size and the decorations and long bar made The collection a good place to hang out. 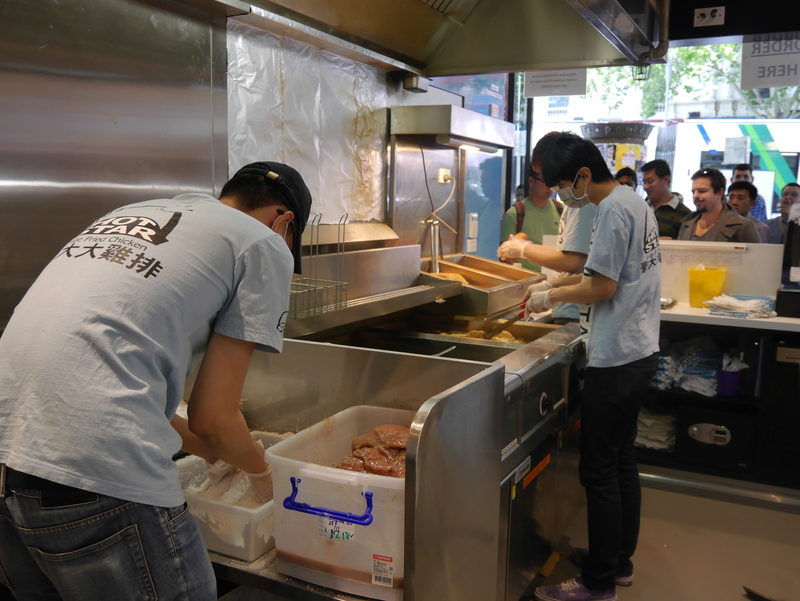 The noise level was high from all the fellow patrons, giving the place a bit of a buzz. 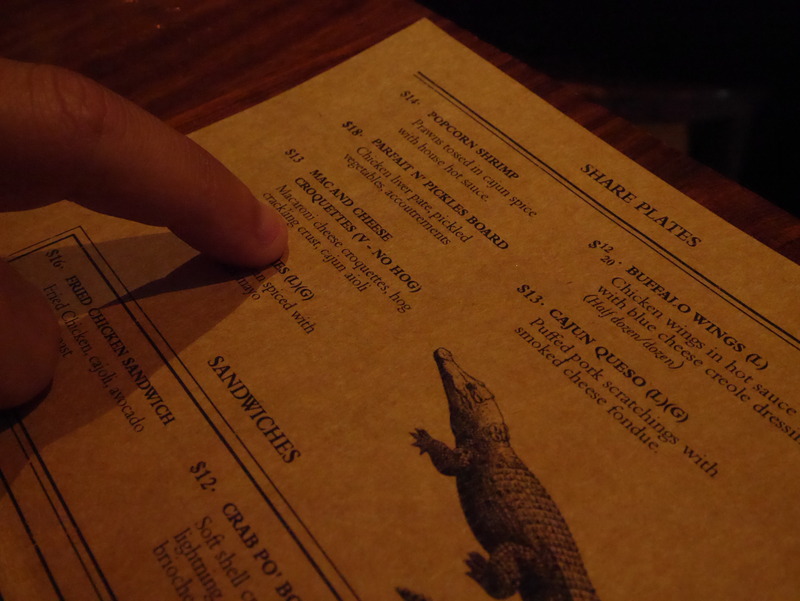 The waiter was attentive and quick with the drink menu. The Chick ordered a Side Car after being told the bartender could do anything. It came with sugar on the rim and everything! Our food order consisted of Louisiana Fried Chicken (main), fried Mac n’ Cheese (entree), and the pulled pork sliders (main). The Mac n’ Cheese and sliders came first. 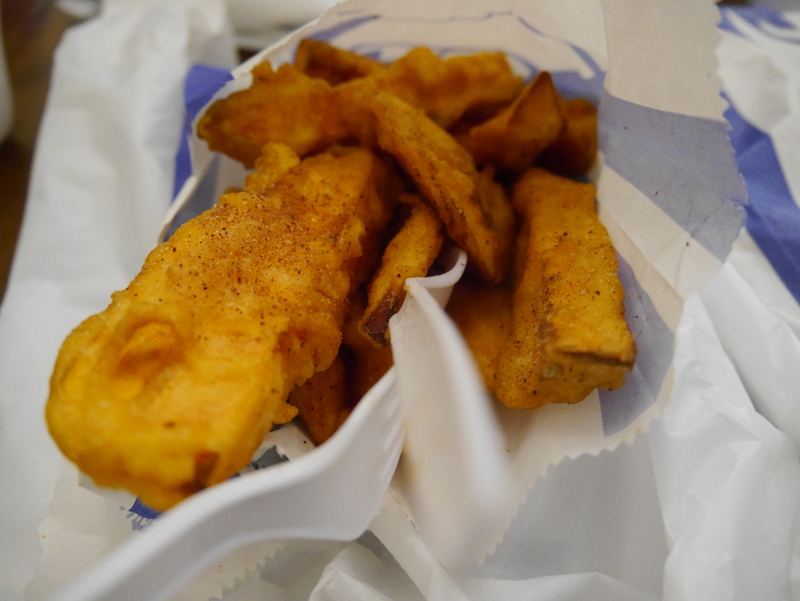 There were 4 rectangles or fried cheesiness and they were sadly a bit over fried and dry. They weren’t nearly cheesy flavored enough, but there was a chipotle mayo on the side that gave them a bit of flavor. 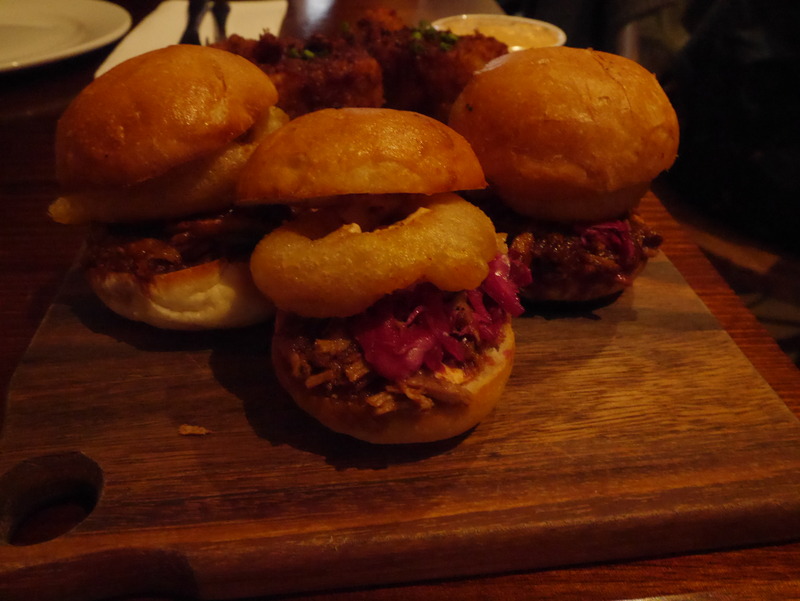 The sliders were pretty good, the buns were a bit too dry, but each came with a mini onion ring for an extra crunch and the sauce on the pork was sweet and tasty. These were the Chick’s favorite of the dishes. 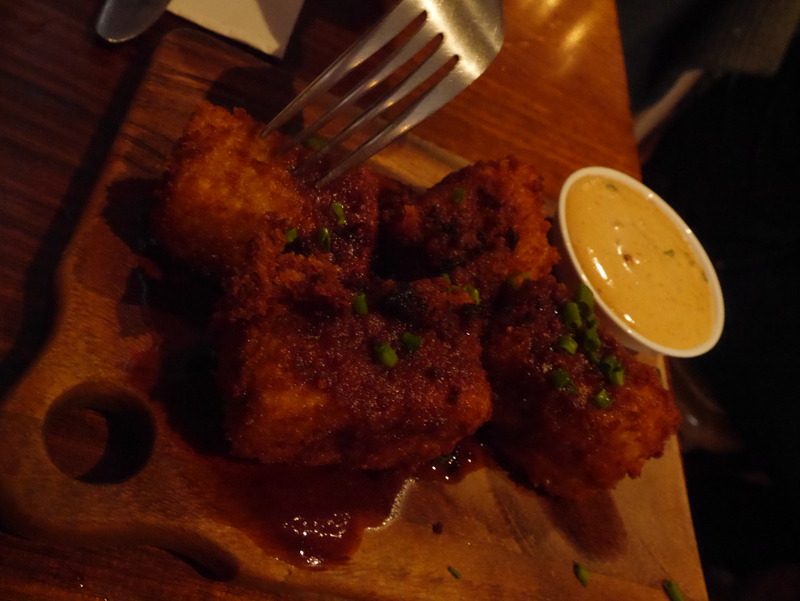 Mac and Cheese Croquettes, a bit too crisp. Good spicy sauce. 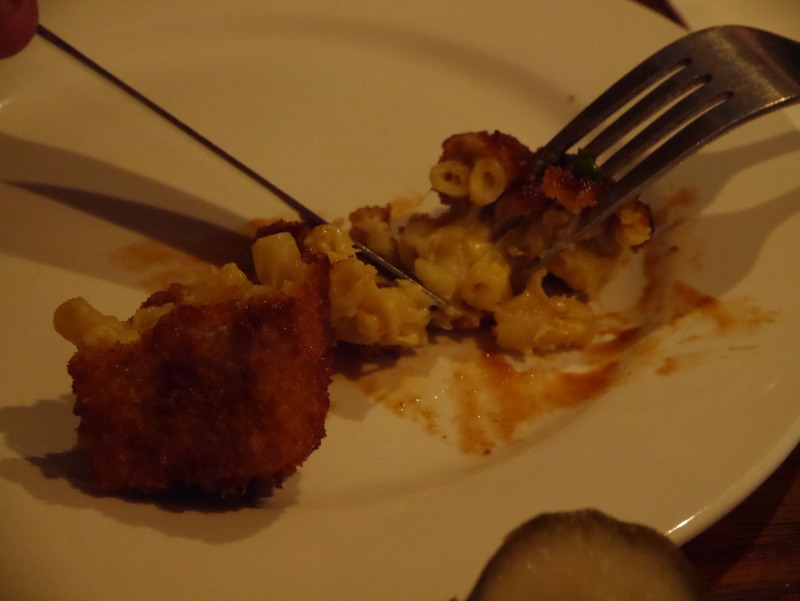 Macaroni inside the fried croquettes. Pork sliders with a mini onion ring! 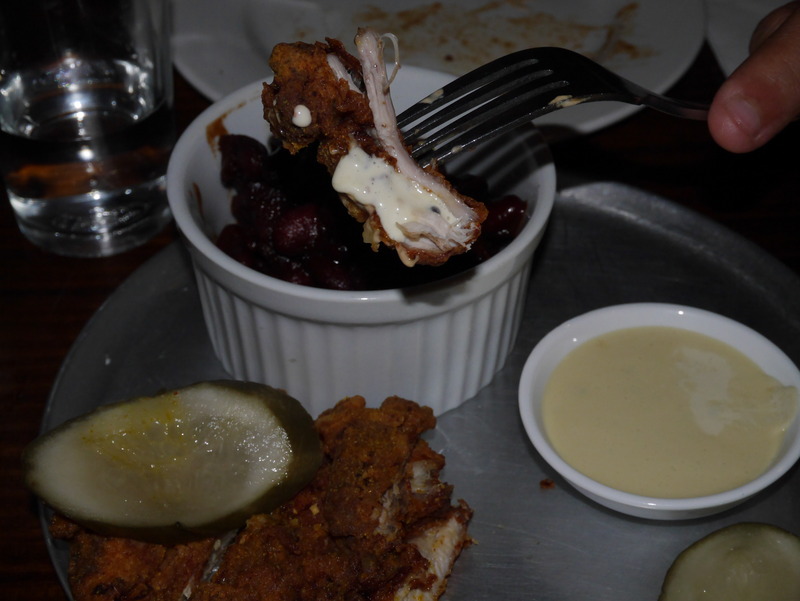 The Louisiana Fried Chicken order came shortly after the entrees but was a sad little chicken breast. Before we could complain, the waiter offered his apologies for the serving size and explained that a second serving was in the making to compensate. A bit of chicken dipped in blue cheese sauce. Hit the spot for Hollywood, didn’t work for the Chick. 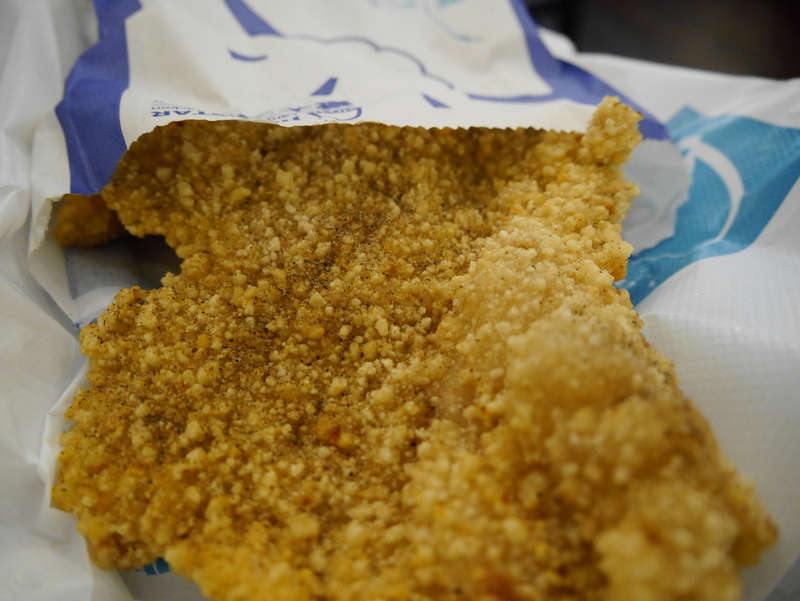 The first serve was fresh, but too thin, the breading had a good spice, but not that crunchy and seemed a bit dry because the chicken was so thin. 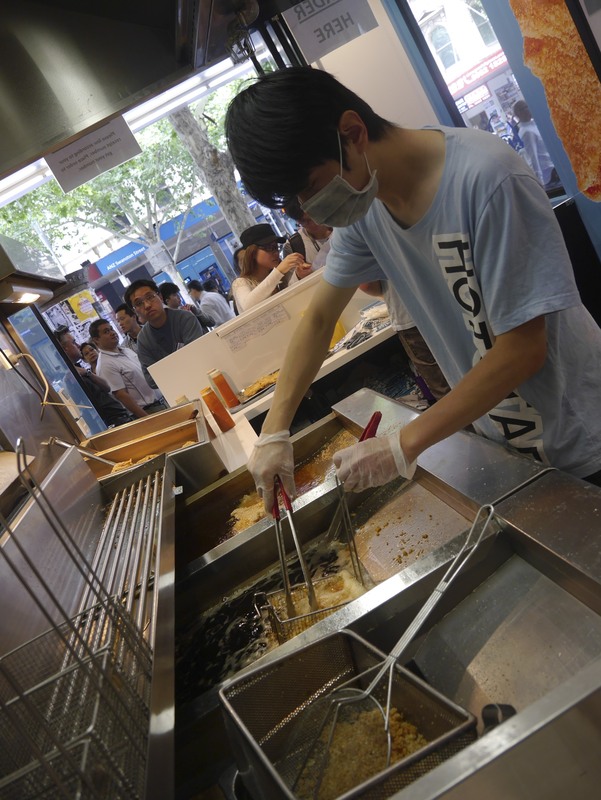 It had clearly just came out of the frier, so it was nicely hot. 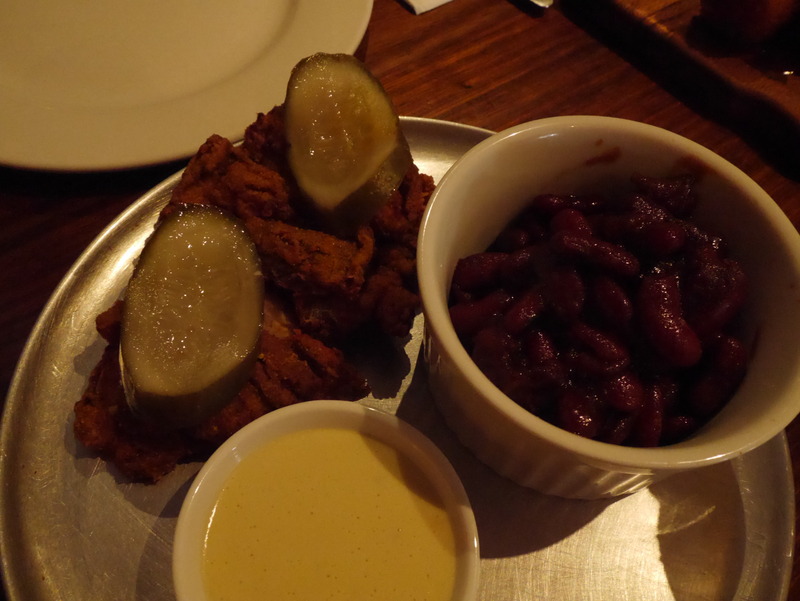 The beans on the side were good, mostly kidney beans, a little bit of ham hock, with a thick sauce on the sweet side. There was a blue cheese sauce that Hollywood enjoyed, but the Chick felt that it was the wrong side for a low spice dish. 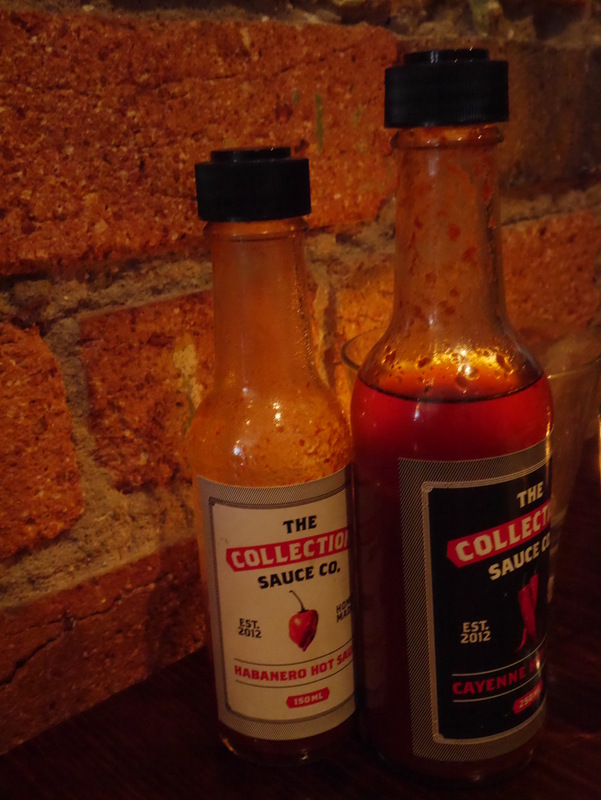 The hot sauces on the table – especially the Habenero offered a nice kick. Homemade hot sauces gave a much needed kick. The Habenero was very edible, not a chili challenge. The second order was hot, dry, and more salty than spicy. 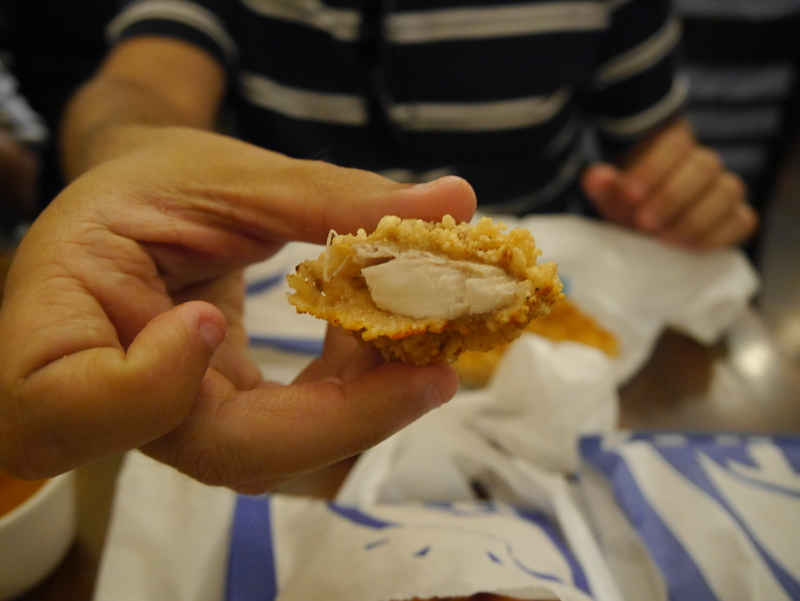 It was a thicker piece of breast, but still not big enough to be a proper main dish. 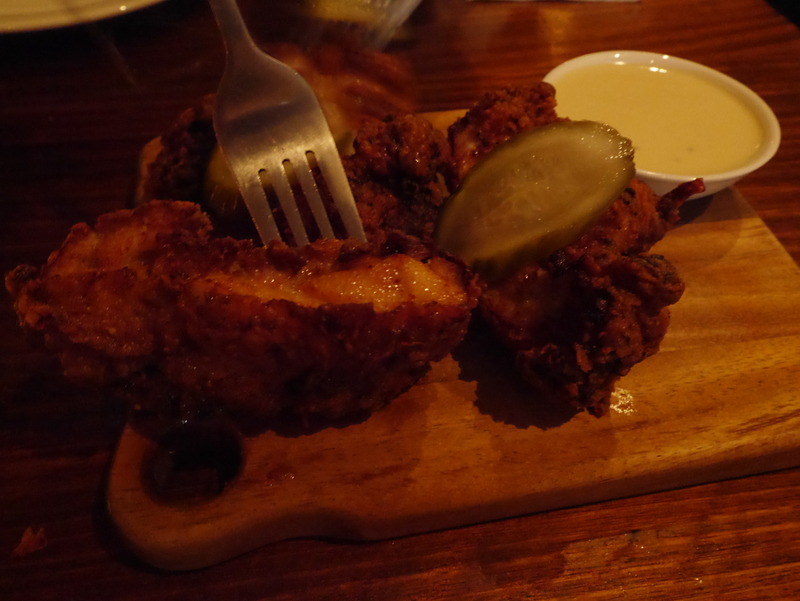 The first one had more flavor and the second order seemed to have been thrown together rather than a showcase of their best fried chicken. The Chick and Hollywood used the hot sauce to make it through. 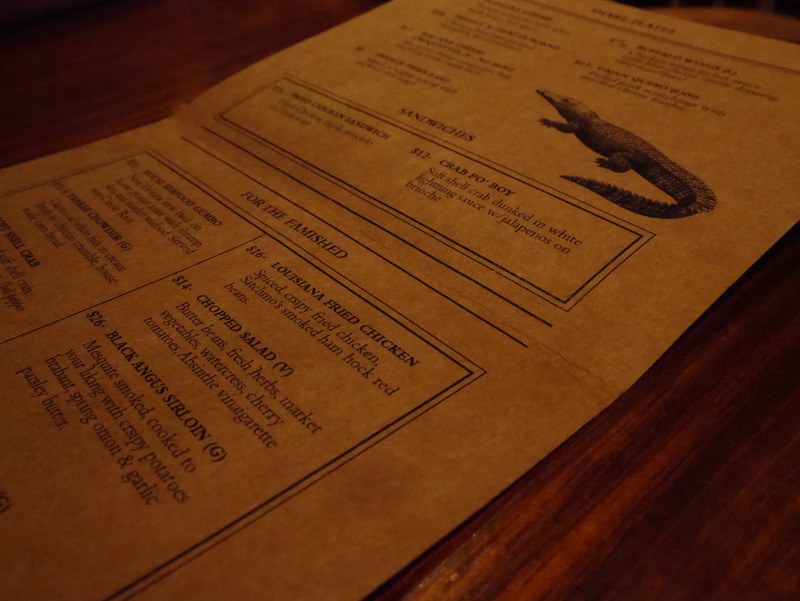 In summary, the food is certainly edible, but only worth it if you are going for the drinks or because you’re in the neighborhood.